2020 will be the year when the first 5G network is scheduled to roll out and the work is in full swing. All organizations, operators, network vendors are putting their much needed efforts to make the 5G vision into reality. 5G as a technology is expected to enable a fully mobile and connected society and to empower socio-economic transformations in countless ways many of which are unimagined today, including those for productivity, sustainability and well-being. 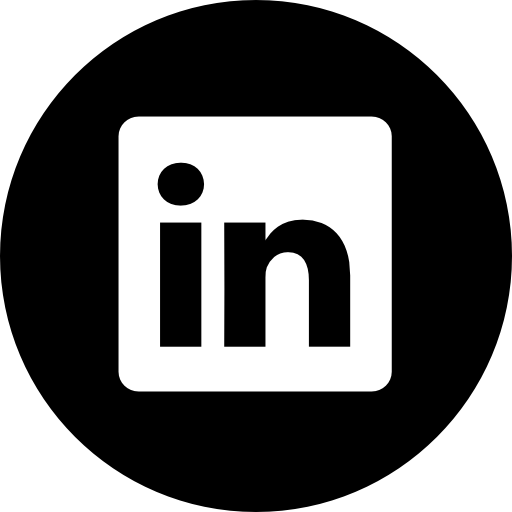 To achive this demand for a fully connected world where not only humans but devices can commnyicate to each other, the fundamental idea behind commnucation system need a big change. 5G will not not going to adress these broad range of use cases but will solve other problems which exist in today’s commnunication systems. 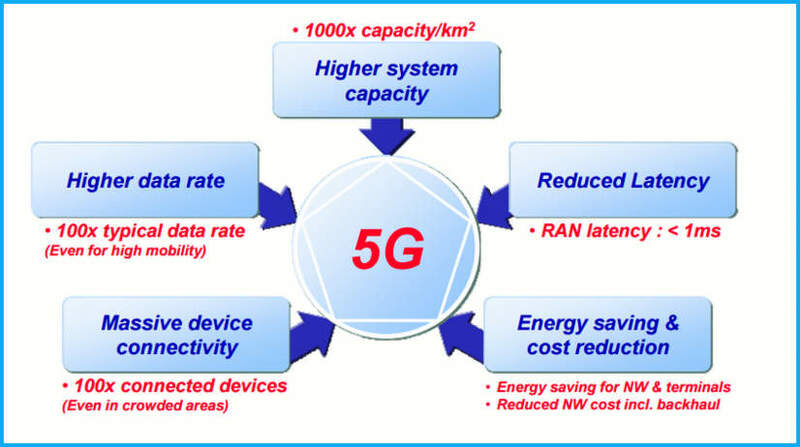 Therefore, in 5G, there is a need to push the envelope of performance to provide, where needed, for example, much greater throughput, much lower latency, ultra-high reliability, much higher connectivity density, and higher mobility range. Along with the capability to control a complex heterogeneous network, the next generation wireless technology is going to provide bulletproof security and privacy. 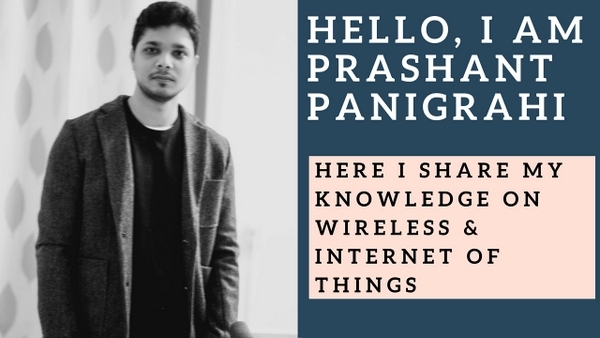 To develop an all new radio technology for 5G and also to design a modular and agile artitecture for the next generation wireless mobile technology 3GPP and other standaradisation bodies already started the investigation phase. This is the year 2015 and it is now just 4 and half year left before the first 5G rollout will happen in the year 2020. Like LTE and 3G, 3GPP will submite a candidate technology for IMT 2020. For 3G the technology was WCDMA and for LTE it was OFDMA. 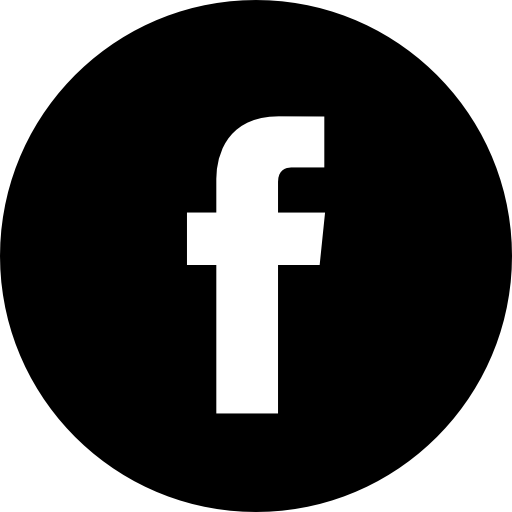 Also, as 3G and 4G are used for mainly marketing purpose by operators and other companies, 5G will also be just the marketing name. There will be a new technical name for the next generation wireless technology, which is not decided yet. Radio is one of the most important aspect of a new wireless mobile technology. WCDMA was used for 3G (UMTS). Though there are many discussions and white papers already developed by top network vendors and operators, but it is too early to predict the exact scope and requirements for next generation radio technology. From various white papers and research works released by various stack holders of 5G, at least we have some high-level targets to fulfill. 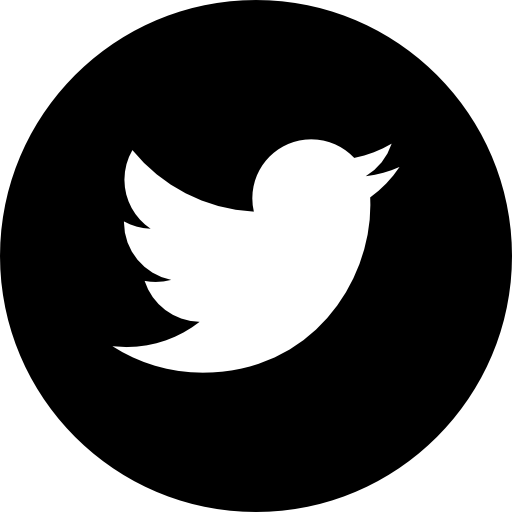 Traffic demands for mobile-communication systems are predicted to increase dramatically. To meet the demand 5G networks must be able to deliver data with much lower cost per bit compared with the networks of today. Also, 5G must increase the system capacity to support a much larger number of devices compared with today. DoCoMo predicts that the 5G can support a 1000-fold increase in system capacity compared to LTE per square Km. No one can deny the fact that the demand for higher data rate in mobile technology is now more than the past. In the past, much focus has been on the peak data rate that can be supported by a wireless-access technology under ideal conditions. However, a much more important capability is the data rate that can actually be provided under real-life conditions in different scenarios. Companies like Ericsson predict that it is possible to have 10 Gbps data rate in idle condition. Also, it is quite possible to get data rates of several 100 Mbps in urban and suburban environments and 10 Mbps can be achievable essentially everywhere, including sparselypopulated rural areas in both developed and developing countries. Long Term Evolution (LTE) already helped to reduce system latency to many folds using flat system architecture and various performance improvements. The target is to make 5G network even faster by improving the user-plane latency to less than 1 ms over the Radio Access Network (RAN). LTE system has a target of 5 ms system-latency right now. Can 5G fullfill the requirements and stick to the 2020 deadline. 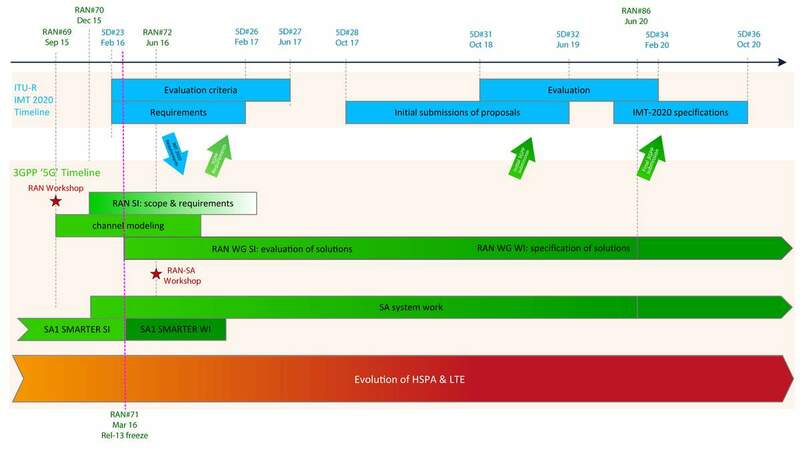 Let’s check the official 3GPP 5G timeline plan to get to know the details. To achieve the IMT 2020 target, 3GPP already planned to start the start the radio scope and requirements work in December 2015. 3GPP RAN will add its own requirements on top of the relevant IMT 2020 requirements. The real work for different 3GPP working groups (WGs) will start in March 2016 after 3GPP will freeze the Release 13 specifications. The time line proposed by 3GPP is not the final one and it can change depending on Release 13 freeze. 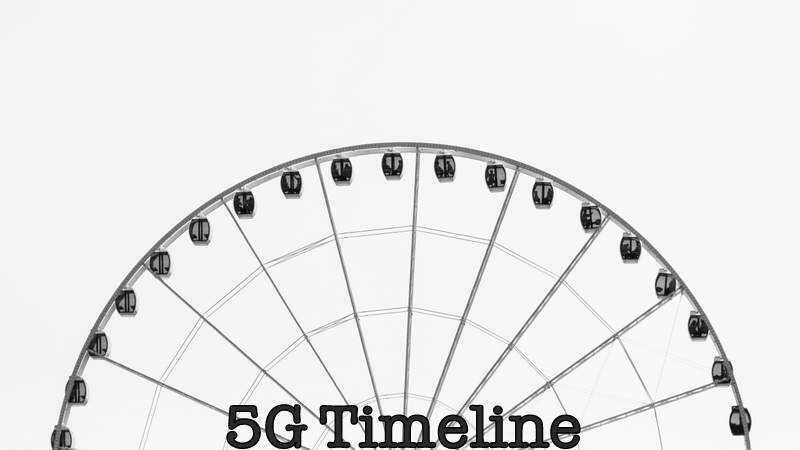 Click here to read 3GPP presentation on 5G timeline. 5G is the next step in the evolution of mobile communication and will be a key component of the Networked Society. 5G wireless access will be realized by the evolution of LTE for existing spectrum in combination with new RAT primarily targeting new spectrum. 3GPP, ITU and other stack holders are now fully engaged to deploy 5G in the year 2020. 2016 will be a big year for 5G as various 3GPP working groups will start creating real drafts for the next generation mobile technology.